Is Self-Certifying the Path to Tranquility? When I first read the announcement from CCHIT in November that they had a process for Hospitals to self certify their EHR Environment for Meaningful Use, I was thrown back to ancient eastern philosophy class. I saw myself sitting in a large lecture hall staring at a man talking about Taoism and Confucianism. A strange thought, I thought, to have about Meaningful Use, but then the analogy became clear. Whereas Confucianism teaches us that accord with being is achieved by personal and communal endeavor; Taoism postulates that inaction would produce harmony with the universe. 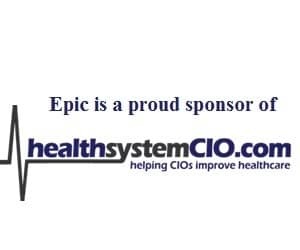 So why would I choose the communal actions of working with a vendor to install the most current certified version of an EHR when I can take a more individualistic approach and certify the systems and process I have in place. I think that Hospitals and Health Systems with virtually no automation, limited adoption of EHRs, and nowhere near the capabilities of MU would be well served with a Vendor reinstall, or refit. I suspect that the process changes would be monumental and that adoption would be slow, but it is a path which, over time, will work and help to drive quality and safety in the right direction. Let’s call this the Confucianism approach where we are working in concert in the communal pool of vendors to attain the harmony with the universe, i.e. – Meaningful Use. But Hospitals and Health Systems who have an EHR system in place, or have customized portions of a vendor product, or have advanced process and reporting , or a complex mix of applications in place may be better served by Alternate Certification, or The Taoist approach. The EHR Alternative Certification for Hospitals (EACH) program was developed to meet the needs of hospitals that have legacy applications, uncertified versions of vendor products, have developed their own EHR systems to suit specific needs or an integrated hybrid of all the above. Is this not every advanced implementation of an EHR. Do we all not use a mix of certified and uncertified products that work together to define the process which make our EHR. Self-certification has the potential to be a faster and less costly way of attaining Meaningful Use without drastically changing the process and routines already in place. I have no doubt it will take significant effort, and may increase risk as the responsibility falls upon the hospital or health system as opposed to a vendor to attain “certification.” But it is an interesting idea. To help attain this goal, CCHIT is offering a series of self-directed programs to prepare EACH participant organization, as well as an online self assessment and other tools to support organizations choosing this path. They should be available by mid January 2011. The EACH Program is a anticipated to be three-phases. The first phase, or “Preparation phase,” includes online orientation and access to an online community of other hospitals seeking certification in this program. The second phase or, “Readiness portion,” is an online self-assessment, with educational material for performing gap analyses, and an interoperability guide which will include a toolkit of test scripts. The final Phase is the actual inspection, which is conducted on the web. The total cost can be as low at $35,000 depending on the number of modules needing testing. This is a prudent approach for organizations with a well adopted EHR and can be a faster track than needing to upgrade or reinstall a vendor product or products. So are you taking a Confucius or Taoist approach? The Path to tranquility lies…. It’s Not a System, Stupid!